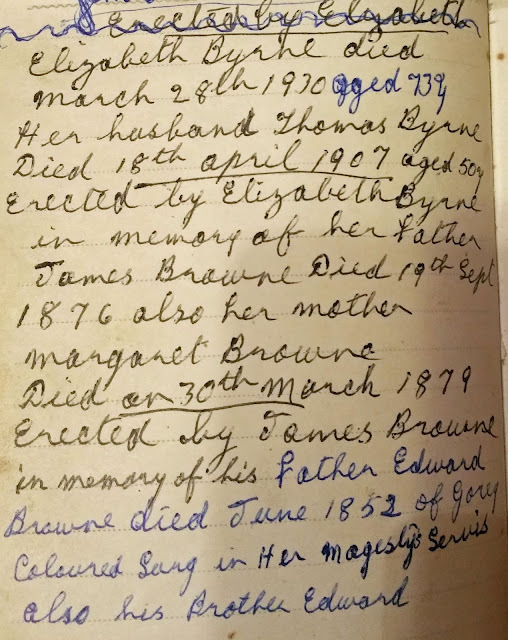 Recently in correspondence with a distant relative, I was shown an extract from a family notebook that appeared to be copies of inscriptions from headstones in St Michael's Cemetery, Gorey, Co Wexford. 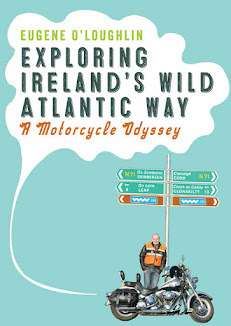 There are several Brownes buried in this cemetery - see full list at http://www.stmichaelsgorey.ie/listofgraves.html. The Brownes are my ancestors on my maternal Grandmother's side of the family. In the note (see middle below), the James Browne that died on 19th September 1876 is (I believe) my Great-Great-Great Grandfather. 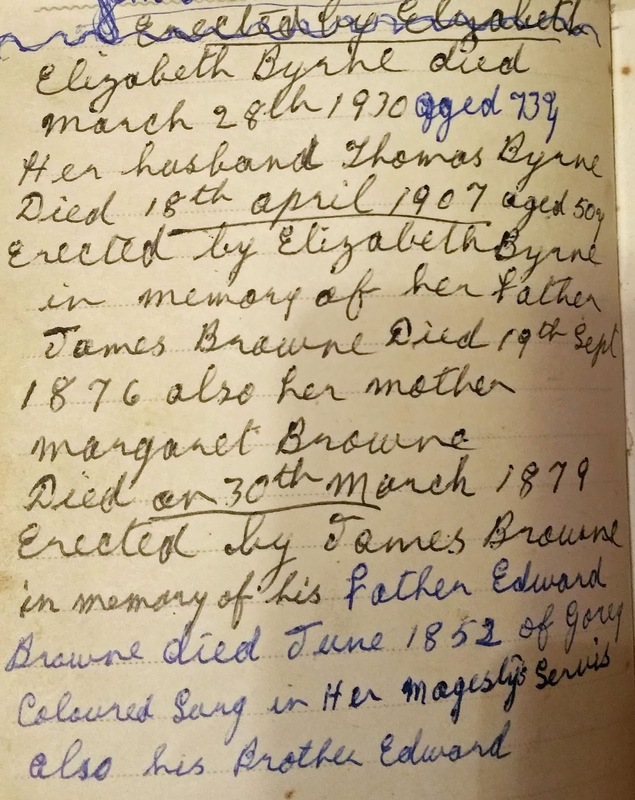 In the next note (at the bottom of the page), James is recorded as having erected a headstone (presumably) in memory of his father Edward Browne (also from Gorey and who of course would be my Great-Great-Great-Great Grandfather) - to my surprise he is recorded as being a "Coloured Sarg (sic) in Her Majesty's Service"! There is not much military history in my family tree. While we are sure that my Great Grandfather James Byrne (no relation to the Brownes) served in the British Army in the First World War - no record of him can be found. To have an ancestor as a Colour Sergeant opens up the possibility that he may have seen action in the Napoleonic Wars (1803-1815). I have no record of how old Edward was when he died, but his son James was born in 1811 - so he definitely would have been of fighting age. More research needed. Note that I find there is some doubt about this as the St Michael's Cemetery list indicates that the Edward Browne who died on 15th June 1852, was 46 years old at the age of death. According to Wikipedia, a "Colour Sergeant (CSgt or C/Sgt) is a non-commissioned title in the Royal Marines and infantry regiments of the British Army, ranking above sergeant and below warrant officer class 2". Wikipedia goes on to say that the "rank was introduced into British Army infantry regiments in 1813 during the Napoleonic Wars to reward long-serving sergeants" and that this rank was considered to be a "a prestigious attainment, granted normally to those sergeants who had displayed courage on the field of battle". Go Great-Great-Great-Great Grand Dad!